What happens when you combine the random puzzling fun of Peggle with the heady delights of child abuse? You get Kickin Mama, a new iOS game from the folks responsible for Swarm. The Swarmites are back, and this time they've brought their mother ... a mother with a really strong kicking leg. If these characters were human, this would be removed from the App Store quicker than you could stomp a two-year-old to death. Kickin Mama tells the story of a large Swarmite matron who absolutely loves jewelry. Unfortunately, gems are expensive, so she comes up with a plan to score them for free -- kick her children into a ravine so they can knock gems out of the air which she shall proceed to vacuum from the ground. 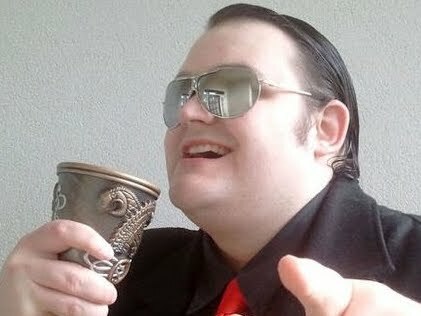 It's a fiendish scheme worthy of the finest master criminal, I think you'll agree. 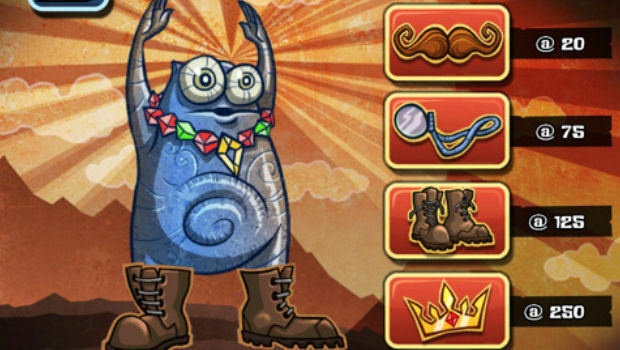 The game shares many similarities with the aforementioned Peggle. As Mama, you have to dictate the trajectory of your kick, launch your child, and let physics do the rest. If your blue spawn hits a gem, it will dislodge and filter to the ground, although there are further obstacles to contend with. Blue spheres litter the play area, which are highlighted when a Swarmite bounces off it. After the Swarmite hits the ground, these highlighted spheres will disappear, opening up more space on the screen, but limiting the potential objects that would keep your next Swarmite bouncing around. Other items found in the ravine include green spheres that serve as score multipliers, bombs that explode after a set period of time, and ice crystals that can only be removed by a Swarmite that's on fire. Swarmites gain the power of fire when one has bounced around the screen long enough to rack up a combo. Once that meter is full, your children become much more effective at racking up points. To clear a stage, a minimum number of gems must be collected. Medals of the bronze, silver and gold variety are also awarded for passing high score thresholds. Costume pieces for the titular protagonist are also available when a certain number of gems have been collected. Oddly, these costume pieces seem to be of the crossdressing variety. Not sure how the Swarmites are supposed to deal with their mother wearing a giant mustache. Kickin Mama is fun to play and simple to get into, but the physics can feel a little too unhelpful at times. The Swarmites are wildly unpredictable once they're kicked, and it's not uncommon to line up what looks like a great shot, only to have the projectile hit the ground without achieving much of anything. Gems can also get stuck between spheres on the way to the floor, which is quite frustrating. 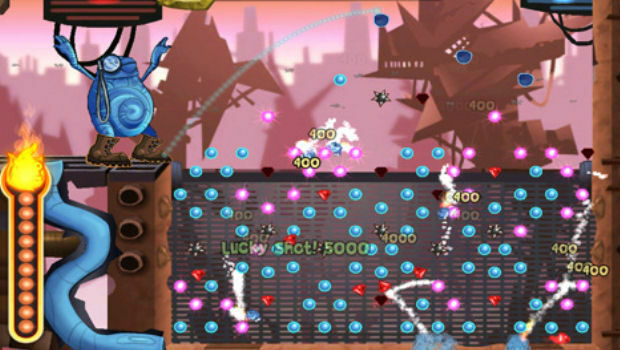 The total lack of ability to influence the game once the Swarmite has been kicked along with the erratic nature of the blue child's movements leaves one feeling a bit helpless, especially when a shot that looks really good ends up failing because the Swarmite bounced in some weird direction. That said, the game still works pretty damn well and those moments where a shot leads to huge combos are intensely satisfying. There are three stages with twelve levels each, and while they can all be completed fairly swiftly, there are more stages promised in future updates. For a buck, it's not bad at all. After an update or two, the game will have easily paid for itself, and with enough puzzling action to keep one amused throughout, it's a very good deal. 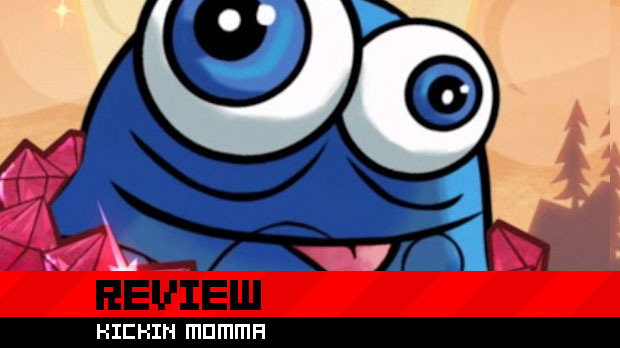 Kickin Momma isn't as tightly refined as Peggle, but it's a cheap, fun distraction that's put together very well. Not the mention, the concept alone is entertaining in its own right. It's a good little iOS game that fans of casual puzzling would do well to pick up, and I look forward to seeing what else the team at Hothead add over the coming weeks.